Let's get an update on the Crop Circle phenomenon! 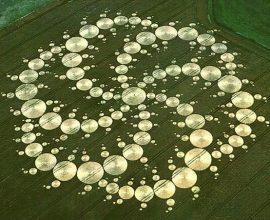 Patty offers illuminating information about the Crop Circles and their messages for humanity. She was on the cover of UFO Magazine early on and her 8 documentaries on Crop Circles, UFOs and 2012 have been recognized across the world. 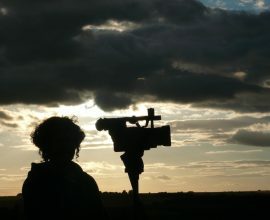 She’s won 6 prestigious film making awards and experienced more than 100 UK Crop Circles personally since 2006. In 2007 she had a life changing out-of-body experience in an English Crop Circle, and that was the day her perception of reality completely shifted. Patty Greer Interview - Kevin Cook Show 2016 - June 21 at 9pm EST on Inception Radio. William Levengood was an outstanding scientist for decades, the only one who presented valid scientific research on the Crop Circle phenomenon. Penny Kelly was Levengood’s brilliant (unknown) lab partner for the last 15 years of his life. Her specialty was consciousness, his was science. They discovered that seeds hit by Crop Circle frequencies produced from 30-400 more food & biofuel per plant, with up to 75% more nutritional value! They found iron ore molded to the leaves within some Crop Circles – How could that possibly happen? By spreading false rumors Levengood was black-listed in the scientific community & his work was suppressed for decades. We expose the real story of Levengood’s “PhD event” fully in this film. It’s time for the world to know the TRUTH about UFOlogy and move forward! 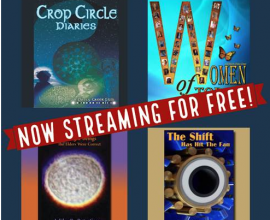 He passed away in 2013 leaving an incredible archive of scientific discoveries & Crop Circle secrets for the world to discover!